One of The KPI Institute’s widest range of consulting services represents the Sector Expertise, because besides analysing a specific sector and its developing practices, it offers professionals a more complete overview over its economic disposition and connections. This general, yet complex perspective can encompass several industries and it enables a better understanding of the role that a certain company can play on a bigger scale. This way, our consulting solutions create the best strategic, operational and processual initiatives, beneficial to maximizing enterprise value and accelerating growth. 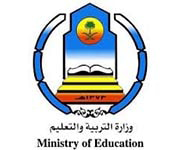 – To ensure education services are available to all citizens of learning age. – To implement projects that relate to building the right infrastructure. – To constantly improve curriculum and upgrade the general education system. Gain practical experience on how to approach the implementation of an effective performance management system. Extensive educational program customized for the governmental authorities: Certified KPI Professional and Practitioner. Visit our marketplace to discover publications for Government. The Asian Productivity Organization (APO) is a nonpolitical, nonprofit intergovernmental organization aimed at promoting bilateral and multilateral alliances among NPO members for collaboration in productivity-related activities for mutual benefit. APO is a leading international organization which actively enables economies within Asia and The Pacific to be more productive and competitive. Practical exercises on cascading objectives, KPI applications and calculations. Productivity measurement for individual cost centers and for areas without direct output (support functions). 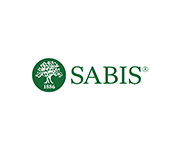 SABIS provides K-12 education services on 4 continents, 15 countries and reaching around 65,000 students. The organization is headquartered by 3 corporations locates in United States of America, Lebanon and United Arab Emirates. formulation, decision making and efficient management of everyday operations. Guidance and assistance in implementing an integrated performance management architecture at corporate, regional, school and individual level.